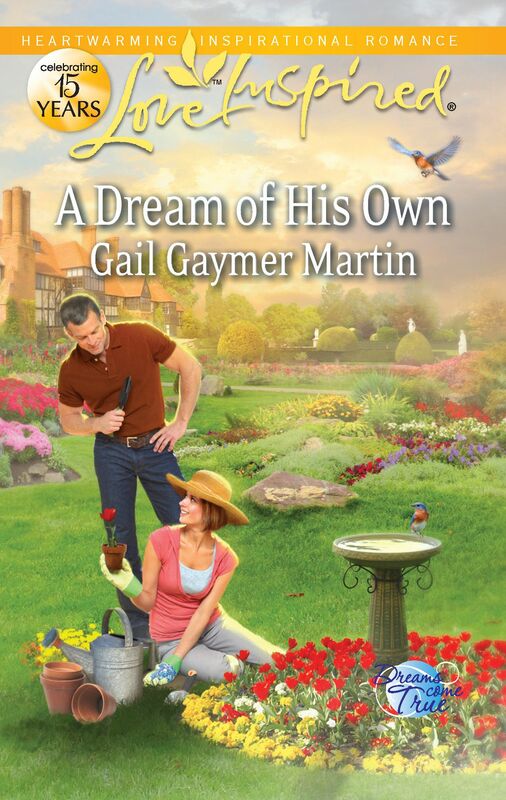 Gail Gaymer Martin’s A Dream of His Own is a heart-warming touching story about two widowed adults struggling through their daily lives with regrets and hurts that prevent them from really living life. Quinn O’Neill lost his wife and son in a tragic accident and has been frozen in fear ever since. A fender bender with Ava Darnell, a single mom who has trust issues, forces Quinn to confront his fears head on. Ava won’t trust Quinn as long as there are secrets but he has vowed to keep some things a secret indefinitely—like the fact that he’s the major donor of the Dreams Come True Foundation (through which he longs to provide much-needed aid to Ava and her son). He can’t share his secret until he knows he can trust her to keep it but he can’t trust her until she trusts him, which won’t happen until there are no secrets. It was a roller coaster ride of emotions full of plenty of conflict between the hero and the heroine, not to mention the typical conflict between the heroine and her teenage son, Brandon. He longs to have a male role model in his life and Ava begins to feel replaced by Quinn. Brandon has been her life since the death of her husband and realizing that he’s growing up and doesn’t need her quite as much causes her to recognize she’s forgotten how to be Ava, a woman. This story is part of a series. I didn’t read the others in the series (yet) but Gail writes in such a way that you can pick up any of her books and read them out of order. There was great characterization, plot, and structure to this story. I won’t tell you anymore about though. You’ll have to read it for yourself. You can find this book and Gail’s other books on Amazon.